UK Prime Minister Theresa May is fighting to keep her job as members of her Conservative Party seek to oust her in a no-confidence vote. May has been unable to shore up support for the Brexit deal she negotiated with the European Union. 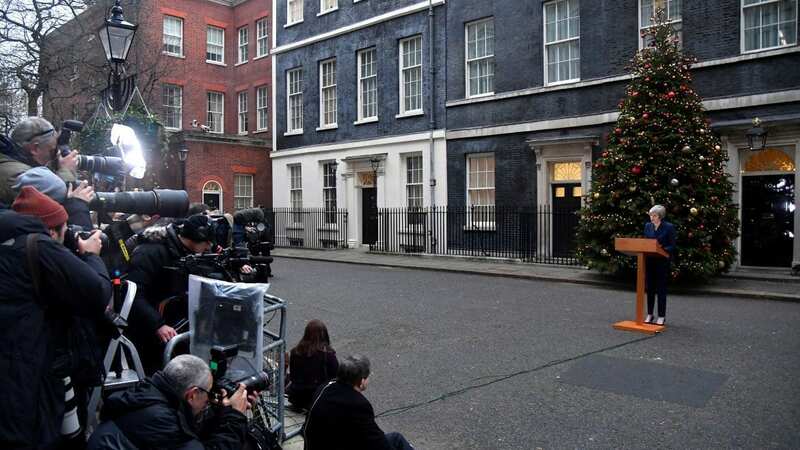 “I will contest that vote with everything I’ve got,” May said outside of 10 Downing Street, referring to the vote on her leadership that will take place from 6 p.m. to 8 p.m. local time (1 p.m. – 3 p.m. ET). If May loses her leadership post, it could trigger a “no-deal” exit from the EU when the deadline of March 29 arrives, meaning the country would have few formal mechanisms in place to interact with the union it’s belonged to for decades. The call for a vote on May’s political fate comes two days after she delayed a vote on the Brexit deal she negotiated with the EU, acknowledging that it had no chance of being approved by Parliament. The process of reaching a final deal has foundered, in large part, on the complicated and essential question of how the U.K. and EU will treat Northern Ireland (as part of the U.K.) and the Republic of Ireland (an EU member) without enforcing a hard border. To trigger today’s vote, Conservatives who are unhappy with the way May has managed Brexit submitted 48 no-confidence letters to the chairman of the 1922 Committee, a group that represents the Conservatives’ rank and file membership.